Public media has always helped me understand the world, but it wasn’t until college that I fully appreciated it. When I was a kid, every morning was framed by Liberty’s Kids, Sesame Street, and Reading Rainbow; every afternoon, I anticipated watching Arthur, Cyberchase, and my personal favorite, Zoom. My first real immersion in public media, however, was in public radio. In 2013, I was starting my sophomore year in college when the federal government shut down. I didn’t understand how or why. Searching for an explanation of the eccentricities of the American economy, I found the voice of reason was NPR’s Planet Money. That drew me to public radio’s conversational, informative style. I listened to my local station’s news updates and other shows, gradually realizing why my mom opted for NPR over commercial music stations in times of crisis. 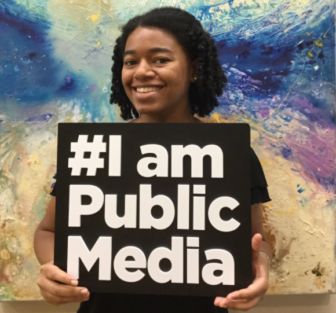 Two public radio internships later, I was hooked on public media but also wondering how it all worked. If public television and radio are available to everyone but air no commercials, how are stations funded? How are children’s programming or new radio shows chosen? And if the government does fund public media, what would a government shutdown mean for us? As a black woman aspiring to hear more stories and people in media that represent our diverse nation, I knew the fellowship was the right place for me. As an executive fellow at CPB, I’m finding these answers for myself. For 18 months, I’m rotating through departments and learning the process of choosing and funding new initiatives and ongoing programs. 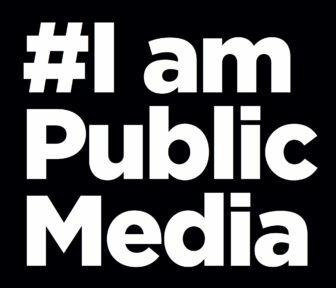 Steps across platforms differ, but the goals remain the same — fulfilling public media’s mission to serve all Americans. This includes finding the voices not being represented, whether that means an online platform for articles by millennials, journalism collaborations across the country, or a radio show about race relations. Now in its fourth year, the executive fellowship is geared toward recent grads from under-represented backgrounds with an interest in public media. At the end of eighteen months, having gained a better understanding of all aspects of public media, the executive fellow is expected to venture further into public media, thus offering the system diverse talent and insight. As a black woman aspiring to hear more stories and people in media that represent our diverse nation, I knew the fellowship was the right place for me. During my time at CPB, I’ve also gained a greater appreciation for public media and our federal appropriation. I truly believe accessible and representative information, entertainment and education for the public is at its core the most noble of any media organization’s pursuits. Both commercial and public media have more work to do in terms of better serving our rural populations and under-represented races, ethnicities, genders, sexual orientations and religions. As some networks look at the bottom line first and the people second, I’m glad to be a part of a system that puts the public first. In college, Maggie Martin felt invigorated telling listeners what was happening and why it was important.